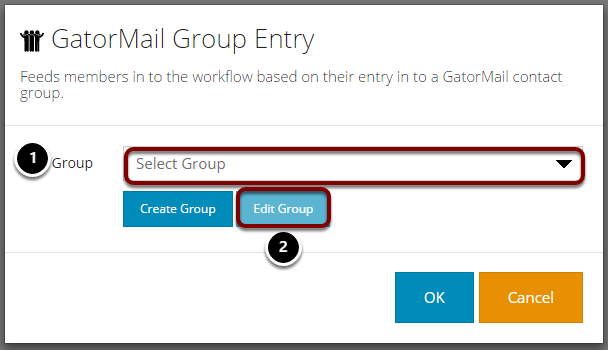 This adds new members to a Workflow when they enter a GatorMail group. Dragging the GatorMail Group Entry stage to the canvas shows the screen below. You can choose to create a group instead of using an existing group. Or you can edit the group you have selected. Tick this box if you want to change the state of a group member when they exit the group. This will expand and provide multiple options for you to choose from. 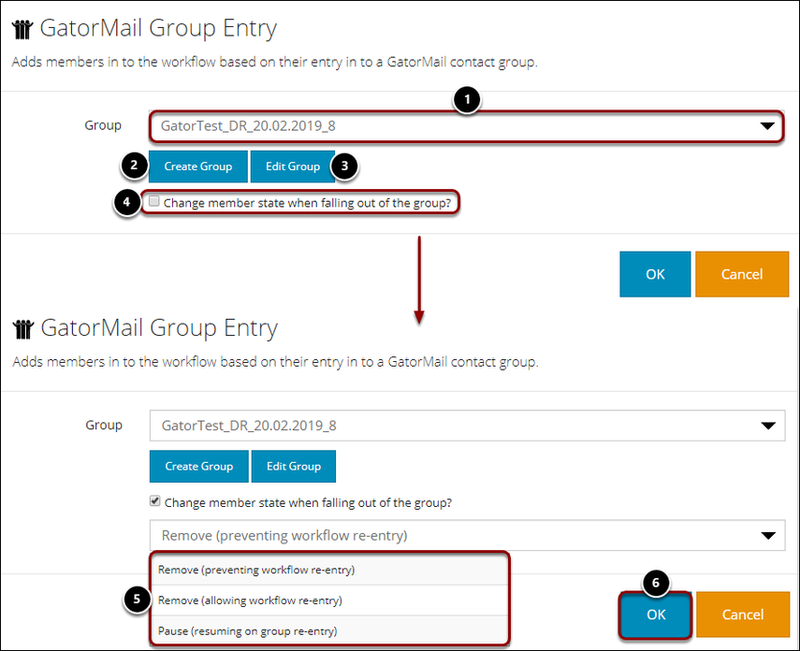 You have three options of state change: Remove whilst preventing Workflow re-entry, Remove allowing Workflow re-entry, and Pause with resume on group re-entry. Once you are satisfied, select 'Ok' to add the block to the canvas. This will show a second screen allowing you to name the new group. You are then presented with a choice to edit the group in the current or other window. choose your preference. 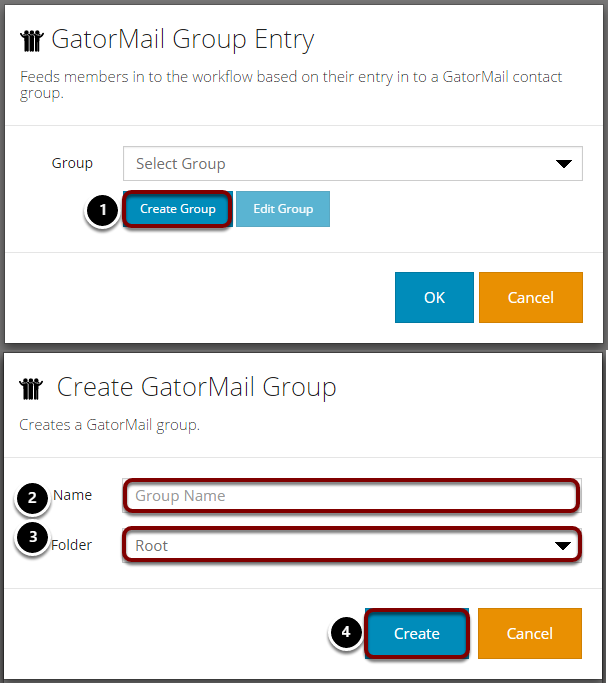 For more information on using the GatorMail Group Builder, see How to create a group based on rules.